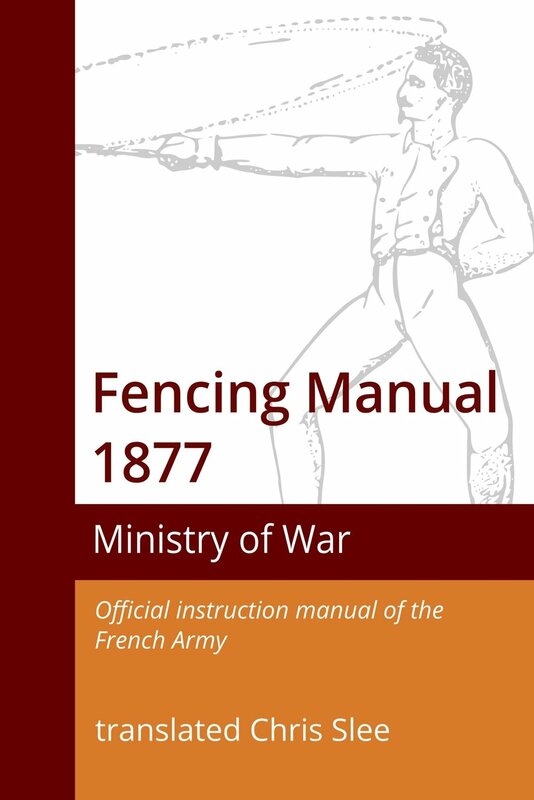 The Manual of Fencing, 1877 stands as the gateway between “ancient” and modern fencing. The technical fencing terms used in the Manual are the same as those used by fencers today but the emphasis is on a set of core techniques more suitable to a weapon much heavier than the modern sport épée or sabre. It can be seen as the last of the manuals in France covering swordsmanship as a solely military activity concerned with life and death on the battlefield (as well as the dictates of nobility). It can also be seen as the first of the modern fencing manuals. Teaching the swordsmanship it describes was made compulsory for all arms in 1877 and it was in continual use for thirty years until its replacement, a thoroughly modern sports fencing manual, was introduced in 1908. ​During this time, fencing lost its relevance to the military context and became solely a sporting endeavour. ​This book stands as the gateway between the old and the new styles of handling both weapons.